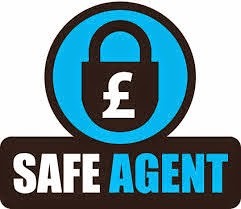 What are the most important things to consider when choosing a Sunderland Letting Agent? Those are the really important things. Not the percentage management fee (is a tenner here or there each month really that important when you're entrusting someone to look after an asset worth tens of thousands of pounds?). Not the 'Inspection Visits' & 'Qualified Tenants' bullet points in the window or on the website - they don't really differentiate anyone, everyone says they can do the same stuff so it all merges into one. Ultimately, assuming the agent answered the phone politely and professionally when it rang, it comes down to a) do you like this person? b) do you trust them? c) do they know what they're talking about? I'll declare an interest here... I own a Sunderland letting agent and what's more, we have a load of bullet points of what we can do in the window!! We get a lot of business from recommendations and referrals and not a lot of business based on our fees being the cheapest (as they're not the cheapest and never will be...). Of the business that doesn't come from referrals, most comes from relationships built over time and that makes for a much stronger connection with our landlords (and therefore they're much less likely to have their head turned by a cheap fee deal from a competitor). The landlords we work with buy into our philosophy, that it's all about finding Good Tenants for Good Properties and we build the relationship from there. This blog post is unusual as previous posts haven't mentioned the letting agency, they're usually objective, impartial (and free!) 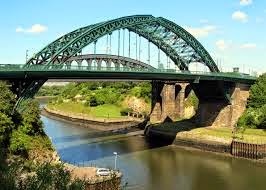 recommendations for investment properties or interesting articles arising from our research into the Sunderland lettings market. In the spirit of honesty and building trust from the start I'll declare that this post is all about getting those nice Google search spiders to pick it up and get high up on the first results page for anyone searching for 'Sunderland letting agent' (the most popular & important search term), hopefully bringing the 'normal' blog to far more people's attention.